Okay, I can’t hide it, I’m getting pretty excited about Summer! We had a few days that gave us a taste of Summer and my heart did a little dance! It seems like when you start seeing strawberries in the grocery stores, you know it’s close! My Lisa, loves any recipe that has strawberries as one of it’s ingredients. So you put both things together and you come up with this little tasty treat! The best thing about this, is that’s it’s really easy to make and it tastes amazing! I believe that this is going to be my new guilty pleasure. Place your strawberries into a blender and puree. Add the sugar, milk, heavy cream, and lemon juice. Pour the mixture into a metal pan, and cover with plastic wrap, and place it in the freezer for about 4 to 6 hours or until firm. Stir the mixture every 45 to 60 minutes to break up any large ice crystals that may have formed. Oh my goodness, this looks so refreshing and lovely! This sounds so yummy — and easy to make! It will just have to warm up a bit (as in quit snowing) before I make it . . .
Maybe if you make it now, it will stop snowing. ???? That really does look like summer! Yum! 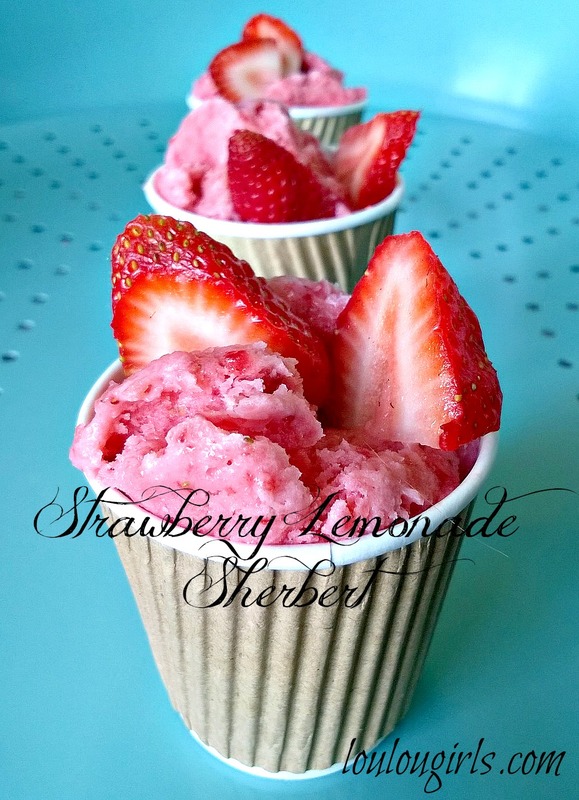 Strawberry lemonade sherbet looks delicious, thanks for sharing with Hearth and soul blog hop, tweeting. Yum, this looks delicious! Can't wait to give it a try. Featured at Be Inspired this morning. Thanks so much for sharing! Sound so yummy! Thanks for linking up to Merry Monday! Sharing on Twitter! Have a great week! That appears to be wonderful! The item need to have also been a great practical knowledge! I adore this roasted melons strategy. Can have never ever looked into of which in addition to I adore ability to hear by persons from the vogue in addition to magnificence companies in addition to ability to hear the experiences! The woman pet is usually tremendous lovely far too! I’m excited about summer too! 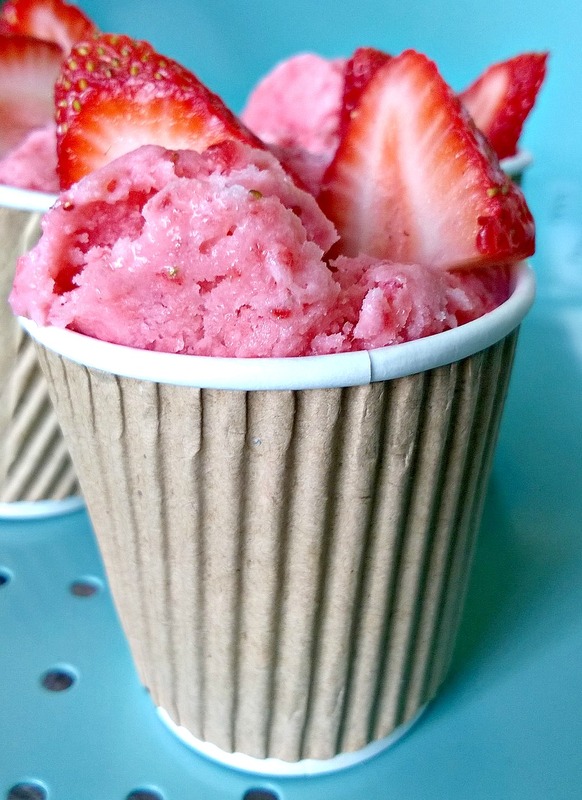 Love this delicious sherbert – what a great way to use freshly picked strawberries. Pinning and sharing on the Hearth and Soul Facebook page! Thank you for being a part of the Hearth and Soul Link Party. This looks amazing and so easy to make-I make something very similar but without the sugar-!! love your beautiful presentation . 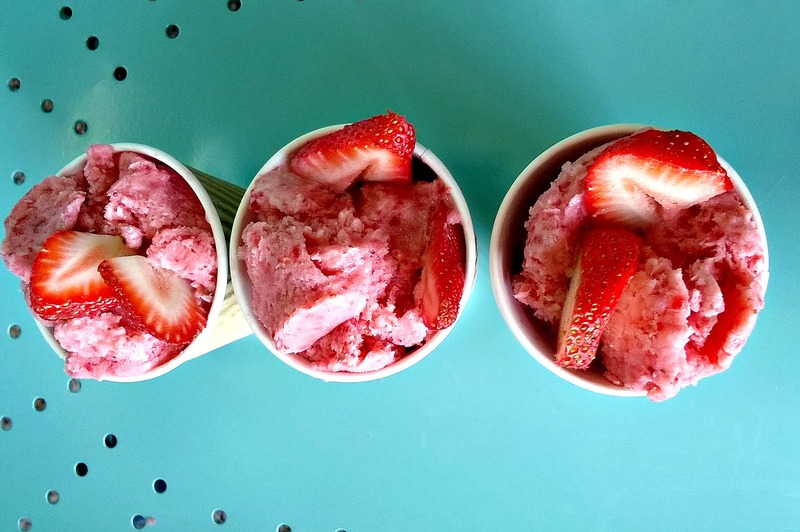 I’m ready for summer and homemade sherbet! !